The ultimate 'Mother City' experience - designed to orientate you and give you an insight into the magic of Cape Town. - The Castle - South Africa's oldest building. - A scenic tour past the Parliament Buildings, City Hall and Slave Lodge. - The historic Malay Quarter and the colourful Bo-Kaap. 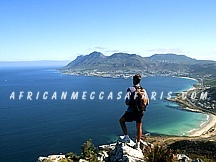 Tour the spectacular natural beauty of the Cape Peninsula and be inspired by the wild and rugged splendour of 'the two oceans' at Cape Point. - 'Millionaire's paradise' - Clifton Beach and Camps Bay. - Hout Bay - a working harbour. 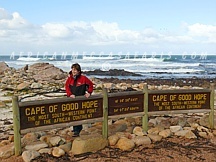 - Cape of Good Hope Nature Reserve. - The Naval port of Simon's Town. Historical Stellenbosch, with its Cape Dutch architecture is the heart of the beautiful winelands, surrounded by stunning wine estates.Historical Stellenbosch, with its Cape Dutch architecture is the heart of the beautiful winelands, surrounded by stunning wine estates. - Opportunity to buy wine. - Fine examples of Cape Dutch architecture. Experience the raw energy of our 'Rainbow Nation' in one remarkable morning. - Langa - the oldest apartheid housing scheme in the Cape. - Visit an informal spaza shop, a shebeen (pub) and a hostel. - Explore Robben Island later in the afternoon. 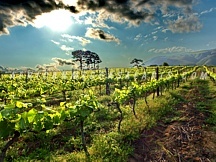 A whole day dedicated to the indulgence and splendour of Africa's premier wine region. - Fabulous vistas from the Taal Monument near Paarl. - Huguenot Monument in Franschhoek - a gourmet's paradise. 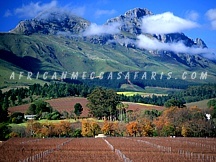 - Stroll through stunning Stellenbosch. - Wine tasting at two estates. 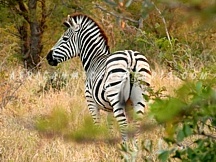 Less than 2 hours from Cape Town is the Aquila Private Game Reserve, home to the 'Big Five'. - Scenic drive to Aquila. - Welcome refreshments and a full breakfast. - 2-3 hour game drive on 4x4 vehicle with game ranger. - Home to lion, hippo, buffalo, giraffe, zebra, rhino, ostrich, baboon, warthog, springbok and many other wild animals, birds and fauna. - Buffet lunch. - Relax by the pool (summer) or fire (winter) before returning to Cape Town. 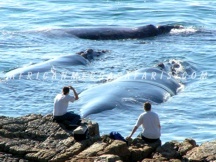 The once quiet fishing village of Hermanus provides some of the finest shore-based whale watching in the world. See the southern right whales at play. - Coastal drive with breathtaking ocean views. - Scenic drive through Elgin - apple growing centre. 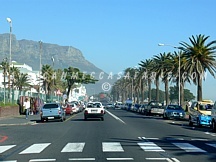 - Return to Cape Town through Sir Lowry's pass. An afternoon of experiencing the traditional flavor of unique African crafts, historical culture of shopping for antique artifacts amongst the cobble streets of the oldest quaint harbour on the coast and moving towards twilight in the sophisticated company of one of the most magnificent estates in the shadow of Table Mountain. - Streetwires beading workshop - ancient wireart with a colourful local twist to offer a new ceramic perspective to local crafts. - Long Street - dramatic contrast between old and new old Victorian shops and new restaurants nestle comfortably side by side. - Kalk Bay - working fishing harbour on the brink of cobbled streets hosting an array of cozy shops selling artifacts steeped in history. - Antique shops and classic cottages framed by the ocean.